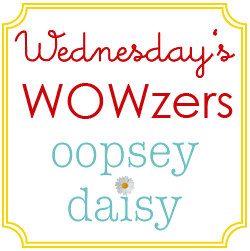 You are here: Home / wowzers / Wednesday’s Wowzers: Already?! Is it already Wednesday again?! Time is flying! With Little Man's party all done and the house *almost* put back together, I have designated this week "R&R" Week. All I want to do is get caught up on my sleep! So cheers to R&R (and for me, that means being inspired by other bloggers and their incredible ideas!). I know Valentine's Day is over, and to be honest, I am not missing all of the pink! But I DO love these love notes on a string by KoJo Designs. 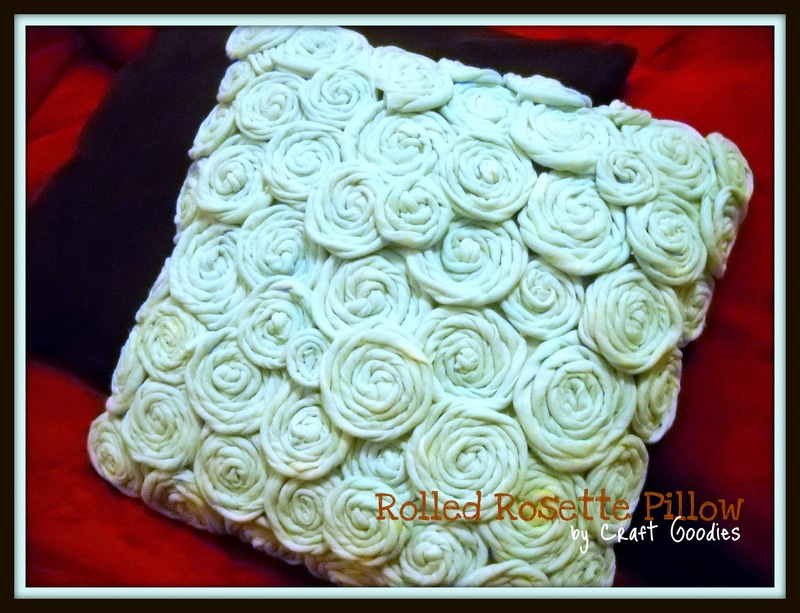 I am SO making these for my hubby for Valentine's Day next year! My pillow obsession continues with this rolled rosette pillow by Craft Goodies. Love the color. Love the rosettes. It's just plain yummy! I have been loving all of the frame collages lately. But this frame collage from Lemon Tree Creations is my new favorite! It's simply stunning! 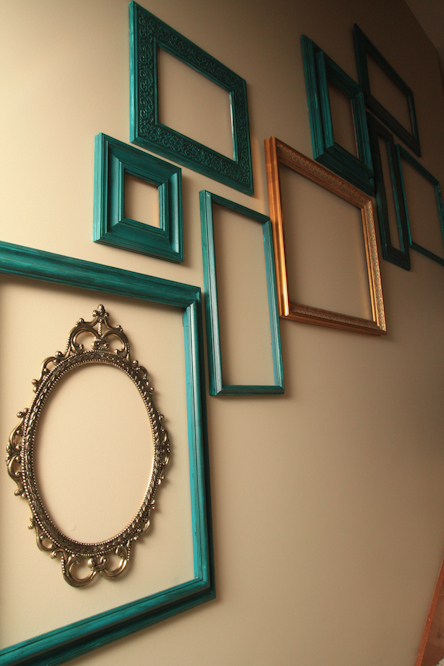 But if you're not into empty frames, try this photo gallery wall!! I love the variety of colors and shapes! Cheri from I Am Momma Hear Me Roar is a genius! 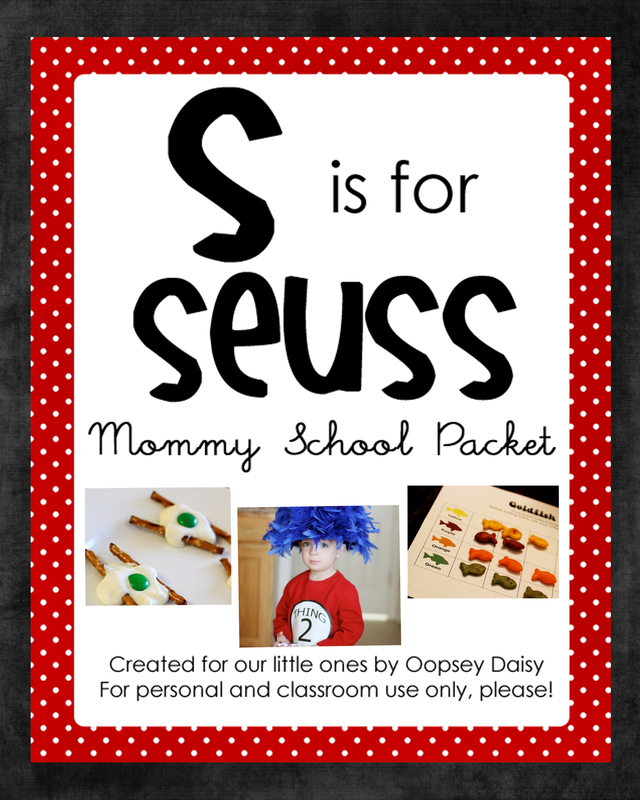 She shared this tutorial at Infarrantly Creative. 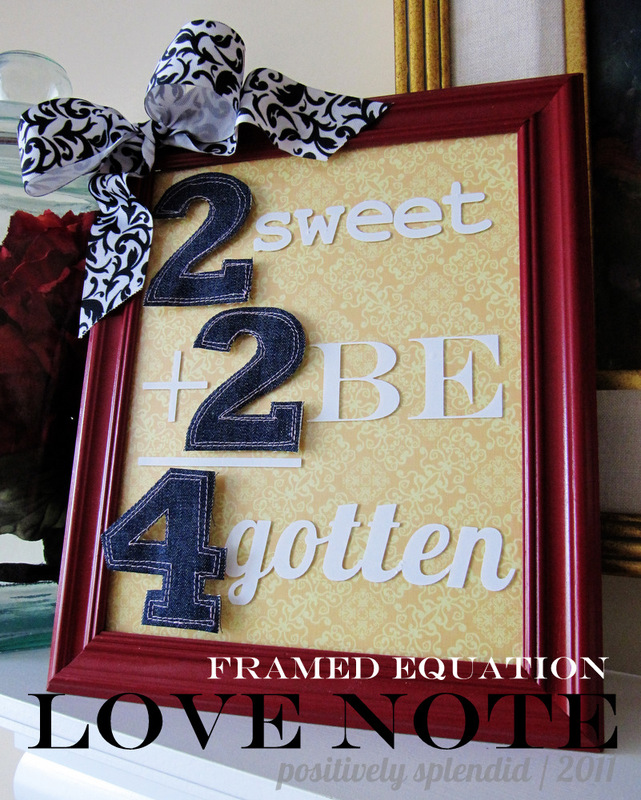 I also love this unconventional Valentine's Day project : A framed equation love note from Positively Splendid. Too cute! 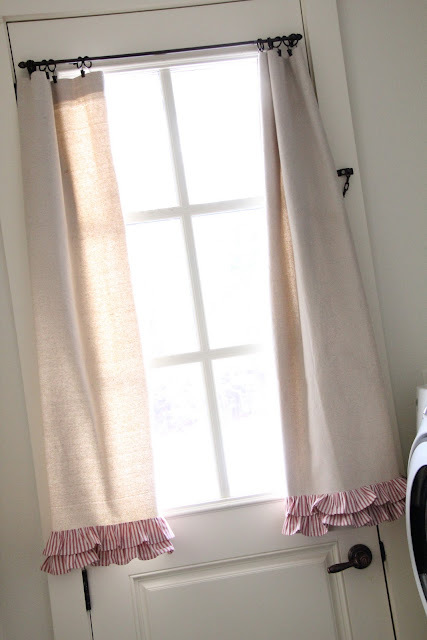 Finally, you've got to check out these gorgeous drop cloth curtains from Shanty 2 Chic. I think I want to cover every one of my windows with these! Love the math equation art, it really is adorable! Thanks so much for the feature! 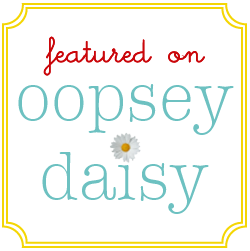 So very honored to be on your blog, good luck with the R&R! Thanks so much for the feature, Alison. You are such a doll! Thanks!! 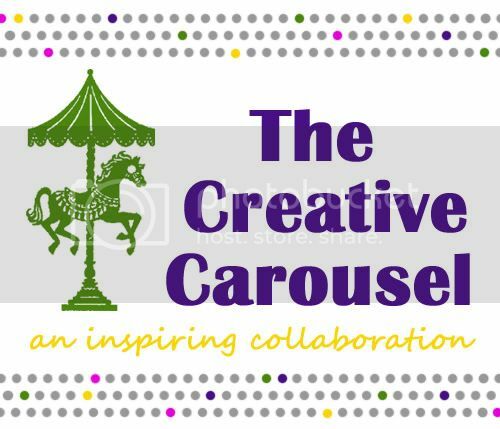 So happy to be featured alongside these lovely projects! !